Carefully-focused, fixed position photography. For example, shots designed to avoid an unpleasant feature or to help a room or yard appear larger. Homes shrouded by trees or other buildings. Standard street-level shots that all buyers have come to expect in a listing. So don’t fire your favorite photographer yet. Instead, ask her when she’ll be getting a drone. If you are considering purchasing a drone to record video and photos for real estate listings, then consider these three popular choices used by many real estate drone photographers today. (Note: the Phantom 4 is the latest in a long line of Phantoms, by far the most popular flying platform used by real estate photographers). 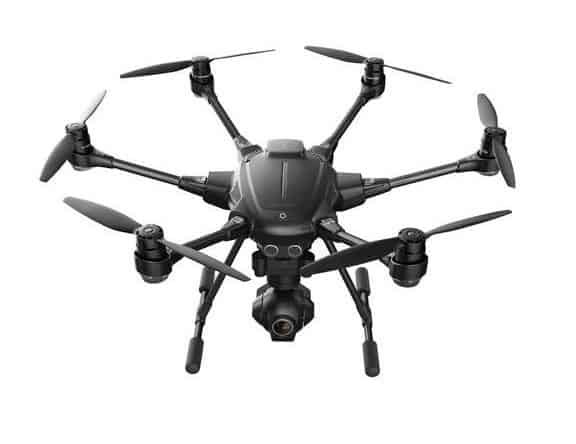 All three choices are ready-to-fly flying cameras that come complete with a 4K camera, 3-axis gimbal, flying platform, live video, advanced flight control software and a flight controller that are work together as a single product. Each one also carries at least a 1-year warranty. So how do real estate agents and brokers benefit from using camera drones in their marketing, in the real world? Using a modern ready-to-fly camera drone like the Phantom 4, you can create dramatic shots very easily (almost on auto-pilot) by combining GPS-programmed flight paths with automatic point-of-interest camera targeting. Compared to shooting aerial photos from a helicopter or a fixed wing aircraft, drone videography is far cheaper – and easier to arrange. Luxury property markets across America, Canada and Europe are incorporating drone photography into their marketing, very quickly. 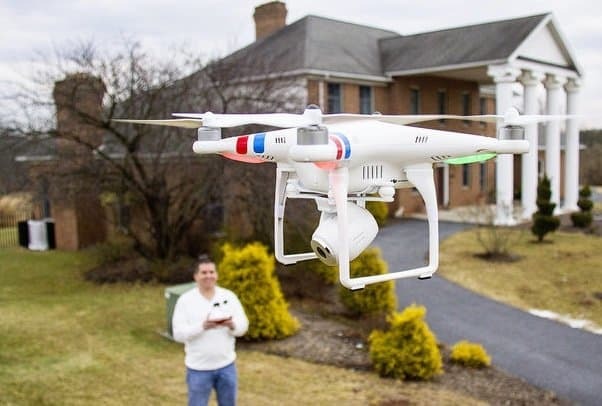 According to Joe Houlihan, managing partner of Houlihan & O’Malley Real Estate Services in Bronxville, NY, drones were used to photograph about 20 percent of their higher-end Westchester, NY, properties in 2015. In 2016, Mr. Houlihan expects to increase that to 35 percent. “It’s an additional cost that’s pretty reasonable,” he says. In the ultra-luxe Silicon Valley market, drone photography has entered the real estate world in a major way. All across the San Francisco Bay area, “drone videographers” exist that specialize in producing dramatic aerial videos and movie-studio quality property walkthroughs, using a combination of camera drones and hand-held gimbals. 2015 was the year of high-end marketing experiments; today, every level of the market is using drone-based video and photography. Drones are used to market commercial real estate, too. In cities across America, Europe and Asia, drones are used to plan and photograph high rises and other residential multi-unit projects, either to help them sell or for inspection and surveying. Views: 615 S College Street from PortmanHoldings on Vimeo. The very first FAA Sec. 333 exemption for a real estate drone operator was handed out in January, 2015, to Douglas Trudeau of Tierra Antigua Realty in Tucson, Arizona. By getting the exemption, Doug became the first real estate agent to legally fly a drone for real estate photography. Since then, the use of camera drones to market real estate has taken off in the United States. Out of the first 1,000 FAA exemptions given to commercial drone operators, more than 350 were for real estate marketing. The commercial photography industry is clearly embracing drones to meet the fast-growing demand for high-quality aerial video and photography. 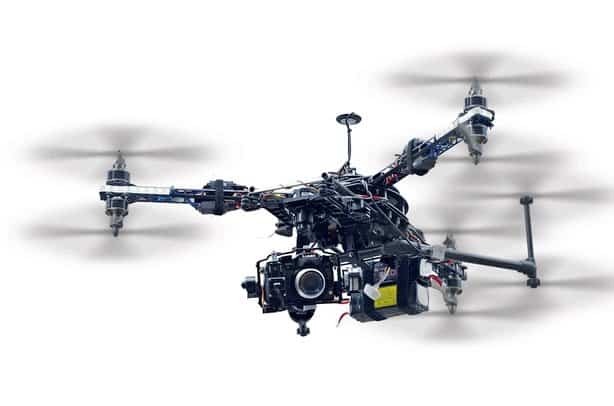 In Chicago, the major photography studio, VHT, recently hired several certified camera drone operators to meet demand. VHT’s Chairman, Brian Balduf, said he expects drones will be used on 20% of their shoots by the end of 2016. 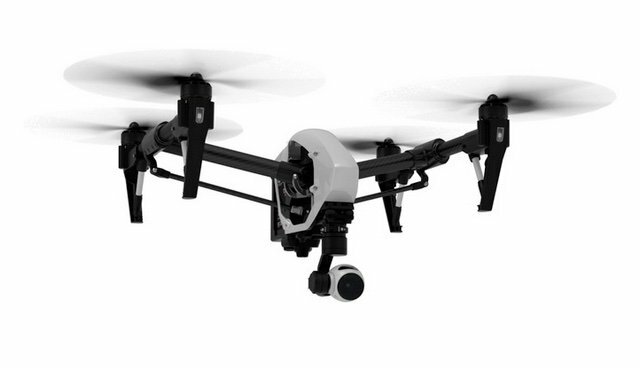 The NAR recently compiled a Field Guide to Drones and Real Estate. It’s worth taking an hour to read the materials they’ve compiled. Whether you are outsourcing the work or doing it yourself, it’s smart to learn from others who have gone before you. Hire a local drone professional. There are several reasons you don’t want to start taking drone shots on your own, day one. First off, it takes many hours (weeks) of practice to learn how to fly and take great shots in 10-minute flights, over and over again. Second, in the US, you need a FAA UAV operator’s certificate (per Part 107) to fly a camera drone for real estate marketing – even if funds aren’t changing hands. Third, you can learn a lot from a professional, just by talking, watching and listening. So if you’re business plan calls for buying and operating your own camera drone, go ahead and visit the first shoots, ask questions and use our 10-point checklist below to learn how the pros do their job. Bottom-line, if you’re experimenting with your first one or two listings, then definitely outsource the work. That said, it’s not THAT hard to learn to fly and shoot great video and images with a drone. Many agents today are flying their own shoots with easy-to-fly camera drones made by DJI, 3D Robotics and Yuneec. Getting high-quality drone shots will cost more than a land-based photographer, and shooting aerial footage takes more time than ground-based photo or video shoots. It’s not an order-of-magnitude change, but you’ll need to be flexible with your photographer’s time, especially if s/he is new to drones. To take high-quality shots, you’ll definitely need the right camera. The cameras and gimbals on higher-end ready-to-fly drones like the DJI Mavic Pro series, Inspire Pro and Phantom 4 Pro come are more than up to the job for capturing crisp, smooth and clean 4K exterior video. Getting the right camera is even more important for shooting inside a home – to handle the light exposure issues frequently encountered as your glide cam flows through windowed rooms. Those awesome real estate drone tours listed above? Yeah, they were edited-down from much longer clips. You’ll need to capture raw footage that can be cut down to size after you return to the office or your home. If you want to shoot 1-minute fly around, then shoot two or three 90-second trips in a row. Always use a 3-axis gimbal. 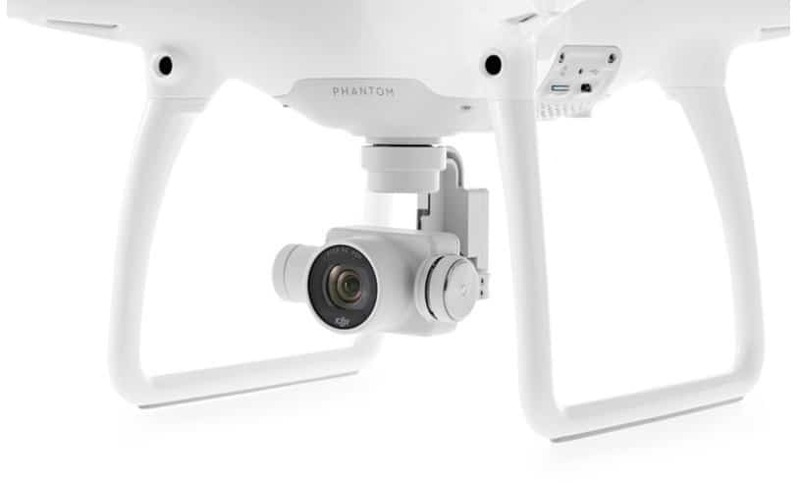 A high-quality 3-axis gimbal like the integrated set used on the Phantom 4, above, cradles the drone’s camera in a gyroscopically-balanced mount that holds the camera steady while the drone moves around. It also uses electrical motors to orient the camera while in flight. 3-axis gimbals enable super-steady, flowing shots and insulate the camera from most vibrations. They are the secret to getting those gorgeous, flowing videos you see online. Do NOT fly your video shoot using a camera drone that isn’t equipped with a 3-axis gimbal, or you won’t like the result. The best camera drones for real estate (see our three picks, above) tightly integrate their gimbals with their flight control and camera control systems, so you can control more aspects of your shots like zoom, pan and tilt. Add Glidecam/Steadicam footage to create a seamless video tour. A Glidecam/Steadicam (like DJI’s Ronin pictured above) is a hand-held version of the same 3-axis gimbal that most high quality camera drones use to keep their shots steady and vibration-free. You mount your DSLR or HD video camera on it and use your hands to orient the shot. The camera swings freely in its mount, insulated from sudden moves and vibrations. In real estate marketing, Glidecams & Steadicams are used to take smooth, immersive ground-level video tours, especially walk-ins, walk-throughs, and walk-outs. Because the quality of video shot from a steadicam looks identical to a camera drone’s video, using both of these methods on your shoot means the end result will look seamless. This is especially important if you want to mix-and-match interior and exterior shots into a single clip. Watch this short video by Stephen Garner for a more detailed explanation of how Glidecams are used in real estate photography. Shoot your most important footage 2 or 3 times. Lighting changes, weather changes and vibrations come and go during each flight. You won’t catch these subtleties by watching the live streaming video on the controller’s screen. So shoot every shot 2-3 times. You can edit-out the bad parts later. Fly with the wind, not against it. This is important. Most camera drones are quad copters, and quads do not fly well in winds greater than 20-25 knots. This is not just about flying into the wind, higher wind speed equals more turbulence – which generates less predictable movement and vibrations. Also keep your shots low if you can – wind gusts happen more frequently the higher you fly. You best bet is to choose a near-windless day for your shot. If it’s windy and you have to shoot, then stick to flying below the tree line. Prepare a flight plan + a camera plan in advance. This is where the flight control software that comes with your drone really matters. The best integrated camera drones like the Phantom 4, 3DRobotics Solo and Inspire 2.0 are equipped with integrated flight planning + camera control software that let you map-out each camera position in 3D, over time. You can also plan camera angles, tilt and zoom on some models. 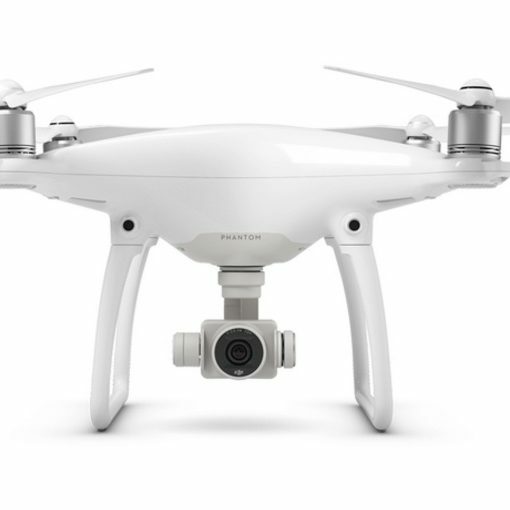 The newest models like the Phantom 4 (read our review), are equipped with advanced automation features like object detection & collision avoidance and a automated trick camera shots that make taking professional footage a breeze. By selecting the right RTF camera drone from the get-go, you’ll save a ton of time and get far better shots than trying to control everything yourself. The three key obstacles for a drone operator to manage around are trees, wires and people. Failing to navigate two of these safely will destroy your drone, and hitting the other could destroy your bank account – or put you in jail. So, if you are going to operate your own camera drone for commercial purposes, then definitely get professional training before you start shooting. There are local drone safety courses available in most cities. Take one. Another great option is to take the 3-day intensive flight training & safety course offered by FLYSAFE, starting around $500. Learn how to shoot like the pros. Yes, many of the leading camera drones are easy to fly and shoot. But getting great video and photos is mostly still about knowing how to set up your shots correctly, and how to avoid making rookie mistakes that ruin them. Learn as much as you can from professional photographers who have years of experience flying aerial shoots. To do this, you can take an inexpensive 2-hour course on Udemy, for example. Or a more in-depth 6-hour one. 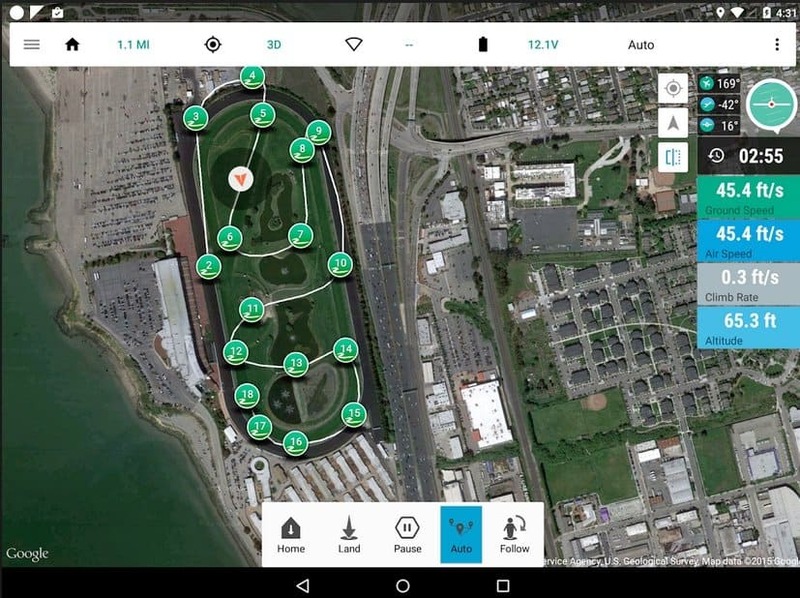 There are online and local drone flight schools available, too. If you’re outsourcing the work to a camera drone operator, you should expect to pay $200-400 to hire a professional drone photographer to produce a 1-minute video plus a dozen high-quality still photos. For detailed video tours of every room, you might pay in the low $1,000s. If you want to do it yourself, then you will pay $1,000 to $3,500 for a professional-grade ready-to-fly camera drone with a 3-axis gimbal, a suitable 4K camera, spare parts and a hard case to carry it. For full-time realtors and larger brokerages, there is a pretty solid business case for buying a couple of camera drones and taking your own shots – assuming that you understand the risks and the legal / certification requirements that come with the job. Most real estate agents outsource their photography, however. Liability Insurance: Does your firm carry at least $1mm+ in liability insurance coverage that specifically covers piloting a drone for real estate photography? Client References: Please send me web links to 3 listings or property websites that contain your work. Interior Video: Can you also shoot interior stabilized video? Many drone operators use hand-held gimbals to shoot interior and ground-based video that match the quality of their aerial shots. Important, if you want both. Pre-Shoot Planning Checklist: Please share your pre-shoot planning checklist, so I can understand how you work. Lead Time & Weather Conditions: How much lead time do you need to prepare and show up onsite? What weather & wind conditions would prevent you from shooting? Deposit, Cancellation & Rescheduling Policy: Are there any fees or cancellation penalties if we change our minds? How much lead time do you require? Copy of Blank Contract: Ask for a copy of a blank contract ahead of time, so you can check for insurance and certifications, indemnifications, etc. Whether you are flying the drone yourself or hiring a drone photographer, you need to be aware of the legal and safety risks related to operating a flying camera. If a drone you are operating wanders into another aircraft’s flight path, or if it falls from the sky, it presents a real and significant threat to life and property. That’s why flying an unmanned aerial vehicle (UAV) is an act that is carefully regulated by the FAA and by state and local aviation officials. We’ve compiled the latest FAA regulations and certification requirements in our Drone Safety Guide, and the latest news can be found here. Make sure you read both of these before heading into your first project. If you own a drone larger than 0.5 lbs in weight, then you must register your aircraft with the FAA. You cannot fly a drone heavier than 55 lbs in the US without a special FAA exemption. Registering a drone is easy to do on the FAA website, and it only costs $5 to register as many drones as you own. Unregistered drones are subject to a fine of up to $25,000 per aircraft. Restricted air spaces: No drones may be flown within five miles of an airplane terminal. No flights over people: unless you have written permission from every single person you fly over, then you cannot do it. Flight ceiling: commercial drones cannot be flown at an altitude of more than 400 feet. Line-of-Sight rule: Drone pilots must maintain visible eye contact with their aircraft at all times. A person who operates a drone for any type of commercial purpose – which includes taking photos for a real estate listing – whether they are paid for it or not, must have an drone/UAV operator’s certificate from the FAA. You get that by passing a test issued by the FAA. If you have a COA / pilot’s license, certification is easy to get. If not, then the test is more involved. To find a suitable preparatory course check out our Drone Operator’s Training Guide. A person who doesn’t have a FAA certification in-hand is breaking the law when they take aerial photos for you. So don’t let people like this do your shoots. You could be held liable if something goes wrong. For example, if the drone crashes through a window or injures someone. So check their papers. If you are a new aerial photographer / drone operator, then you need professional legal help when setting up your contracts to protect yourself from the issues above (and more). DroneLaw.Pro offers operators contract templates, training videos and a unique “Ops In A Box” business setup kit. If you are interested in hiring a drone/UAV photographer for a real estate shoot, then make sure you know what a good drone contract looks like. While the risk of damage and injury by drone is very low, it’s not zero. This is why you should demand that every drone operator you employ carry commercial drone insurance with at least a $1 million limit of liability. If you fly the drone yourself, then check with your commercial insurance agent to make sure that drone operation is covered by your existing business liability policy. To learn more about drone/UAV operator insurance, read our buying guide, Drone Insurance: Where To Buy It & How Much To Get. Using special software, drones are used today to create finely-grained 3D models of buildings and landscapes in the land development, construction and mining industries. The same tools may one day help real estate developers make better use of limited resources and design homes to fit more naturally in a particular environment. The future of drones in the real estate and construction industry has yet to be fully written. 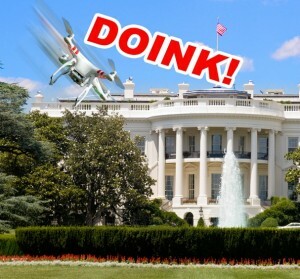 This entry was posted in Best Drones For Work, Drone Buying Guides, Real Estate Drones and tagged 3-axis Gimbal, aerial photography, aerial videography, camera drones, commercial photographers, commercial real estate, drone operators, Glidecam, Phantom drones, real estate drones, real estate marketing, RTF drones, Steadicam, video tours.